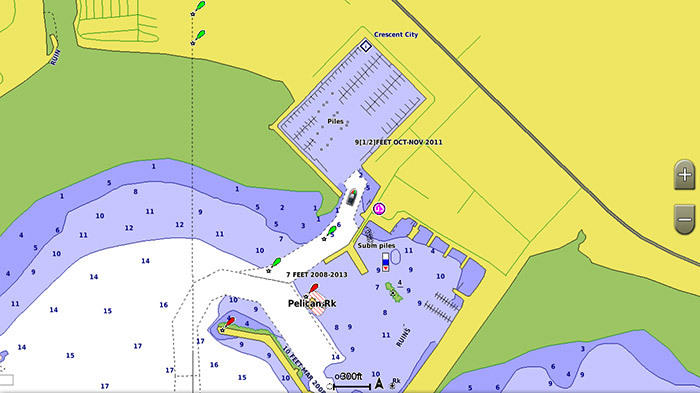 Detailed charts help the mariner guide their boat in and out of port with confidence. 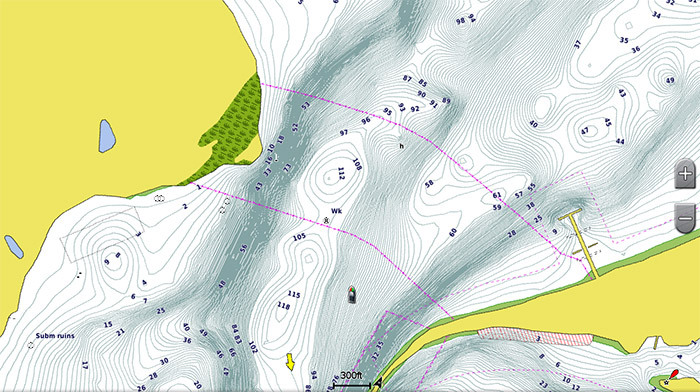 BlueChart g2 HD features 1-foot contours that provide a more accurate depiction of bottom structure for improved fishing charts and enhanced detail in swamps, canals and port plans. Not all chart features will display on all devices, particularly legacy devices. As engineering enhancements are ongoing, new features may not display on such legacy products, as well. Check for software updates. 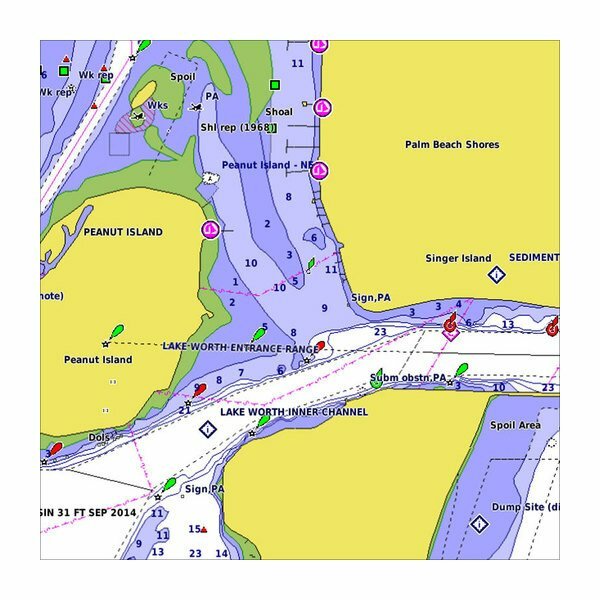 Some BlueChart products may contain C-MAP data. ©C-MAP. All rights reserved.